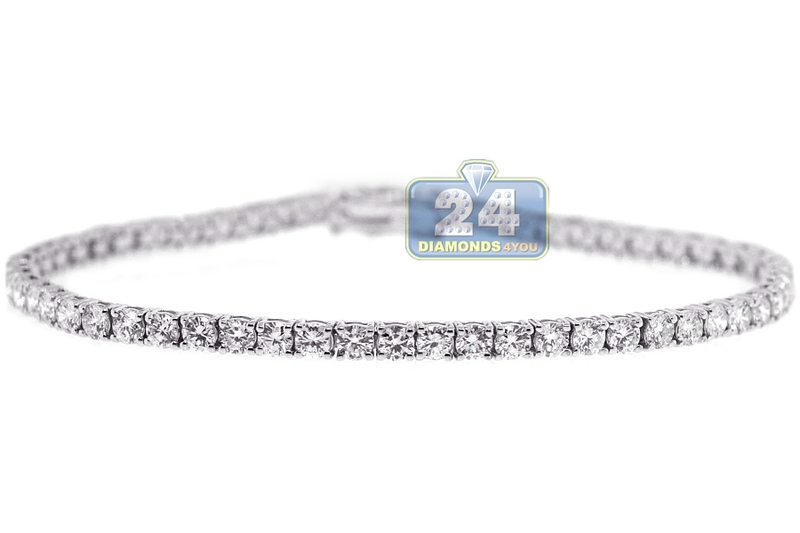 This classic diamond tennis bracelet radiates luxury, glamour and excitement! 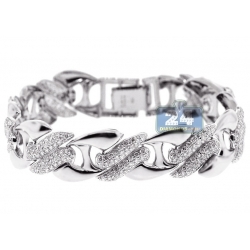 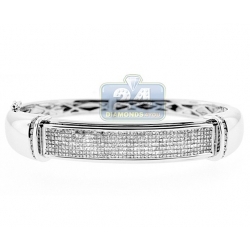 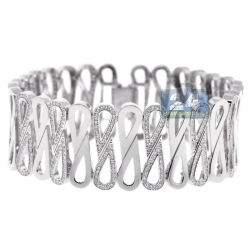 It's handcrafted in luxurious 18k white gold with high-polished rhodium finish. 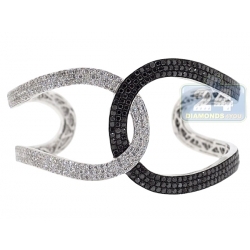 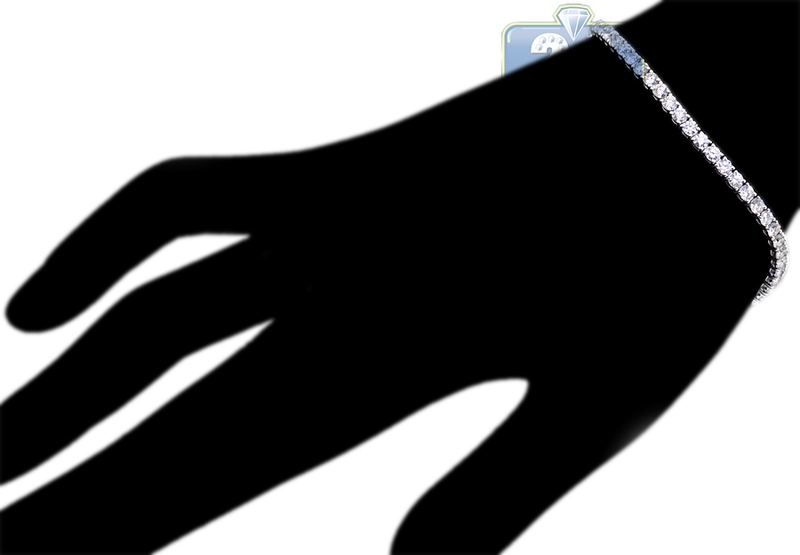 Our women's wrist bracelet is expertly accented with 5.74 carats of icy white round brilliant-cut diamonds (VS1-VS2 clarity, F-G color). 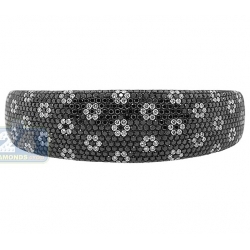 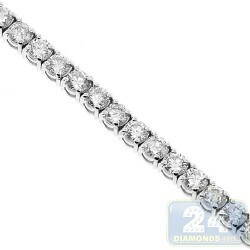 It also measures 7.25 inches in length and 3 mm in width. 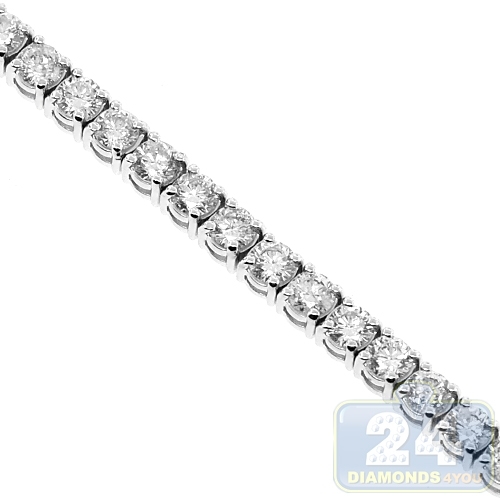 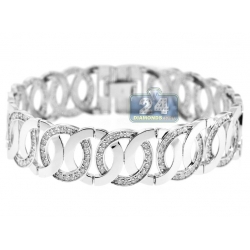 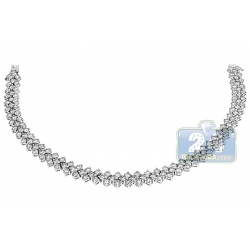 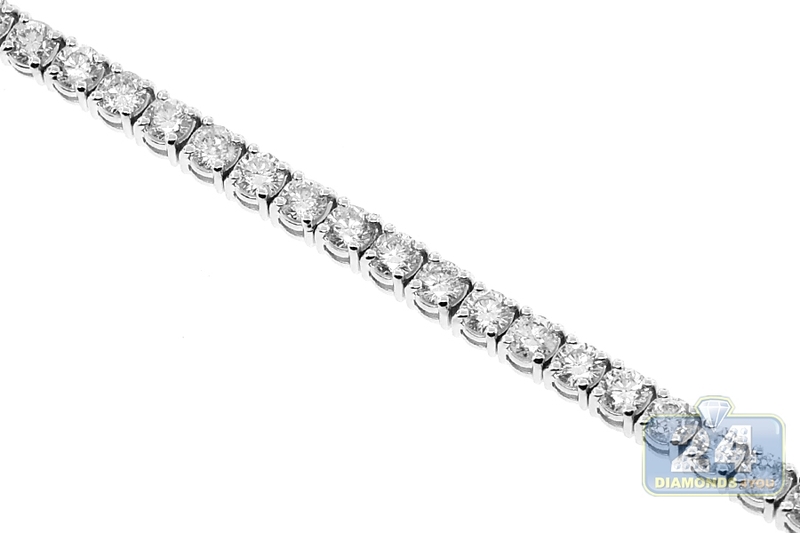 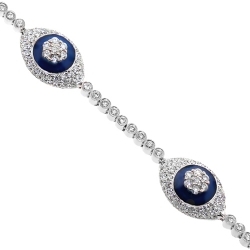 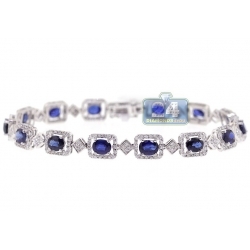 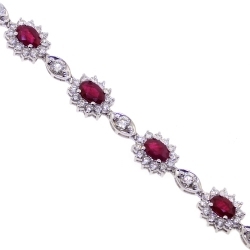 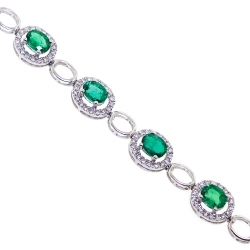 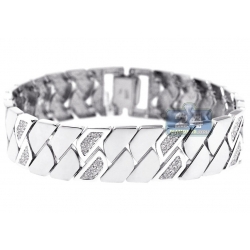 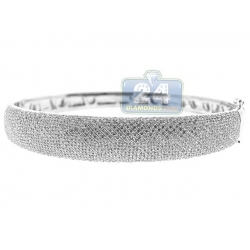 Celebrate your love of diamonds with this breathtaking diamond tennis bracelet!